So this word disruption is massive. So I thought about how to disrupt the coaching industry, business coaching, life coaching and personal fitness coaching, personal coaching as well. How to really disrupt that industry and the answers are not that revolutionary. My first tip is to put yourself in a position to be good enough and put your neck on the line to deliver transformational tangible outcomes for your clients that disrupts the industry because nobody else is prepared to do that. The number of people that are prepared to do that, is so small that is disruptive in itself. The second thing, offer a guarantee that if you do not deliver they get their money back or you coach them for free or whatever that maybe. 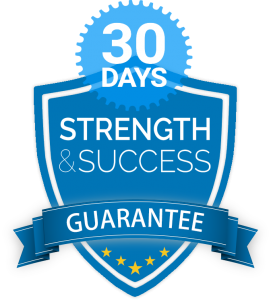 Offer a guarantee, guarantee your services put your neck on the line, your game on the line because nobody else is prepared to do that. The third thing Is be yourself. Be confident enough, vulnerable enough and be self-aware enough to let your true strengths and passions shine through whatever that may be. Let your story be known! So 3 things put your neck on the line by offering a guarantee deliver transformational outcomes that allow you to charge higher fees set the standard higher for you your business and this industry and finally be yourself and let your own personality and story come through. And you’ll kill it, you will disrupt an industry that is crying out for disruption!! !